The Mechanized Infantry make up the primary firebase of an Abyssinian force. 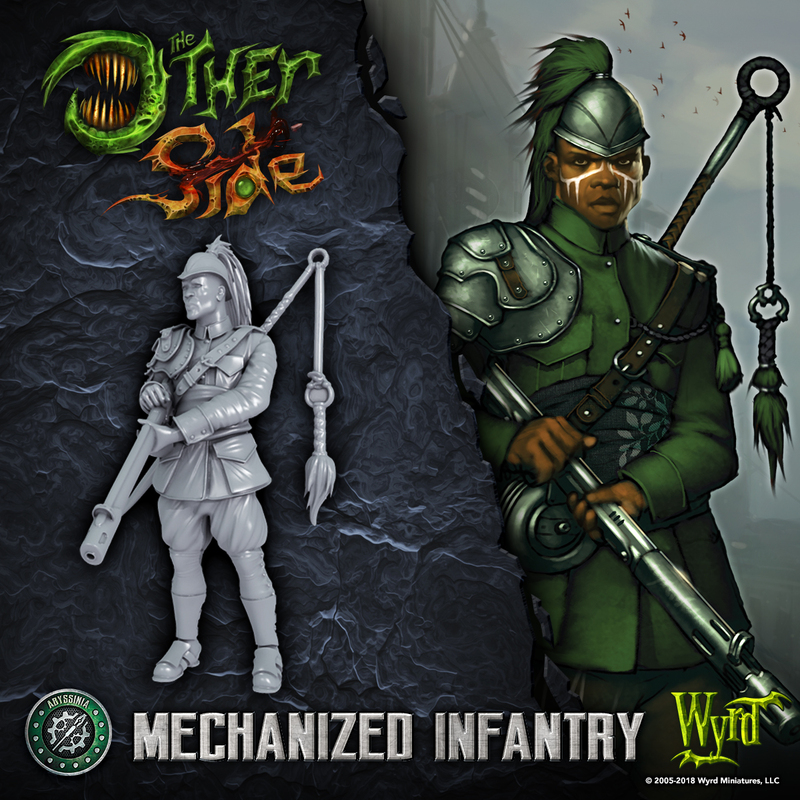 Every member of the Infantry is skilled with a machine gun, and they have been trained in how to pilot the massive Walker that serves as the unit's heavy artillery. What’s more, the Infantry are trained to make field repairs to their Walker, ensuring that their Squad stays at fighting strength for as long as possible. If the Crow Runners make up the bulk of the vanguard of an army, the Mechanized Infantry make up the army’s core.